The perfect combination of Mexican charm, breathtaking sunsets, beautiful venues, modern amenities and amazing service providers makes Puerto Vallarta one of the most desirable places to tie the knot. 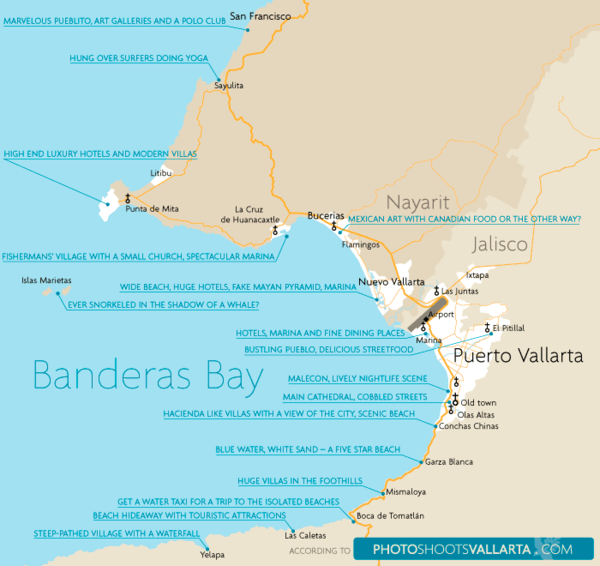 Puerto Vallarta is located on the coast of the Pacific Ocean and makes up part of the Banderas Bay - the world’s seventh largest bay. 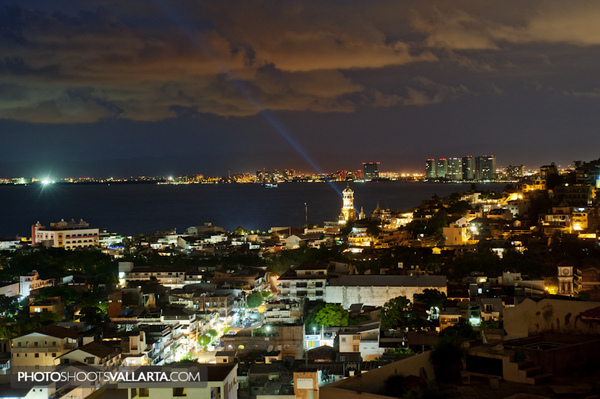 Vallarta is only a 3 hour flight away from Los Angeles, Dallas, and just over 4 1/2 from Seattle, Vancouver, Calgary, Chicago, New York and Toronto. 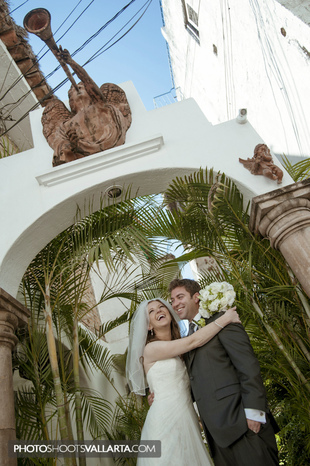 The prime location of Vallarta at the foothills of the Sierra Madre allows for a picture-perfect wedding. You can find cobblestone streets, red tile roofs, beautiful gardens with fountains and palm trees, typical Mexican small town charm, luxury villas and contemporary architecture there. Would you like to plan a wedding or TTD in one of the 26 beaches? With or without rocks? There are several marinas to choose from as well as rivers with small boats and many pelicans. 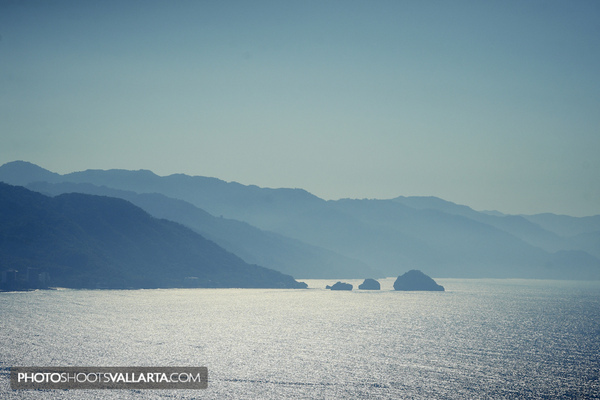 Puerto Vallarta is on the same latitude as Hawaii and has a nearly perfect weather with more than 300 sunny days per year. The dry season lasts from November until May. In November all the mountains are bright green after the rains and the sun sets at six o'clock. The weather during this time is just perfect - crisp blue skies, warm sunny days and cool breezy nights. The rainy season (June until October) is romantic as well. The thunderstorms can be quite impressive! The rain is expected shortly before the sunset at about nine o'clock in the evening, the temperature is a little bit higher. Because of the mountains the hurricanes are very seldom. The high season lasts from November until May. Many resorts and vendors offer discounts on week days. If you plan your wedding on any given Saturday of the high season book the resort and the vendors at least ten months before. It would be wise to check whether or not your wedding takes place during any of the national holiday weekends. All the flowers will be much more expensive, beaches and hotels will be crowded and it would take more time to get from one place to another. Love the wildlife? We suggest whale watching (November to April), dolphin adventures, crocodile observation in natural habitat, horseback riding, snorkeling and scuba diving. Active lifestyle? Take a spectacular canopy tour, rent a 4 wheeler, banana boat, jet ski, kayak, parachute, scooter, surf or choose from much, much more. There are several golf courses as well. Romantic person? Visit the Malecon during the sunset, choose one of the endless dining opportunities, and after that dance all night! 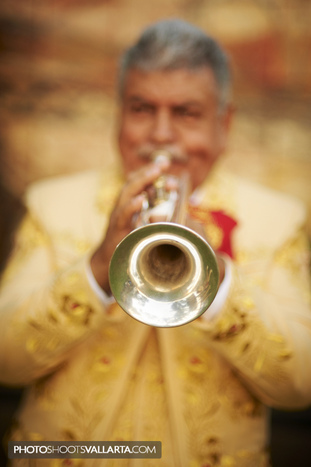 Don't forget to experience mariachi music and taste tequila – you are in the very place to do it! Caring beyond photography. Eva Sica, Pierre Morillon and other European photographers are at your services in Puerto Vallarta, all of Mexico, and France.